Just picked up this rare find! 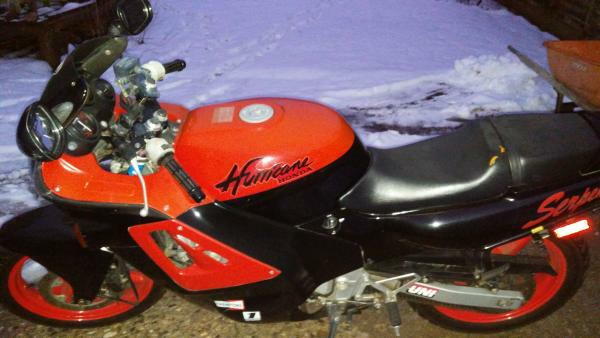 It's a 1987 hurricane 600, all original oem fairings, only a few scratches on the right lower air scoop, slight tear in seat, and even the f1 exhaust is in pretty good shape for only $1000. 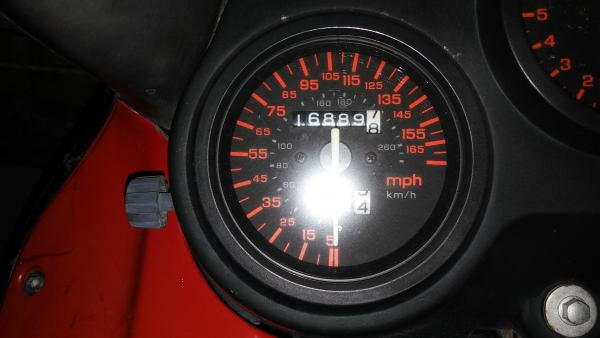 It's pretty much is awesome condition, everything works except a broken throttle cable and been garage kept for 30 years with 18k miles and only one original owner. Problem??? What do you suggest for filling in the scratches? Also would like a full dd exhaust...any advice would help thanks! Pictures or it didn't happen! Scratches depend on how bad they are. Sorry for the double post. Im still getting use to using this forum for the first time! If you notice on the bottom right on the lower front air scoop and i just also saw near the headlight is a scrap as well. The picture quality dont really show the true condition of the bike. I found a Delkevic full exhaust im going to change out. Would a stage 3 jetkit would with it? Looks nice. That's not original paint except for maybe the tank. The inspection covers should be black. The tail paint has been modified. The red stripes should continue up the tail. The exhaust is aftermarket also. Can't see the paint issues. Pictures are not very clear. You should take a close up of the scratches. I see that now. 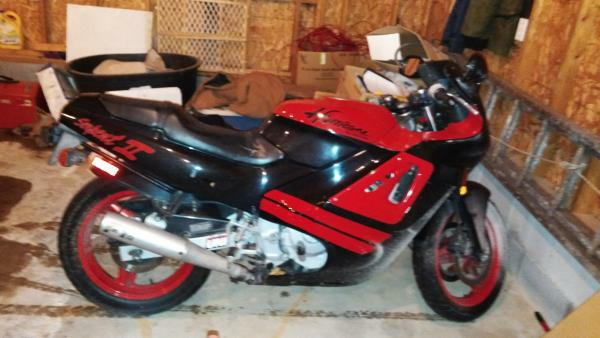 Looked for the extra oem fairings and are impossible to find. I want it back to the original design. I'll take better photos of the areas. What's your suggestion on the missing areas? Repaint? Keep looking? New OEM fairings are no longer available. Even if they were you would spend more than the bike is worth. They can be repainted back to original colors. Here's a thread on an 89 F1 that I repainted this past summer. Awesome and thanks. When I have it all repainted back to original I'll post some photos. Anyone ever get a stage 3 jet kit to work properly with any full system? Any other companies out there beside delkevic make a full system? Ah, one of the limited edition Serpent 2 models. Don't see those often. 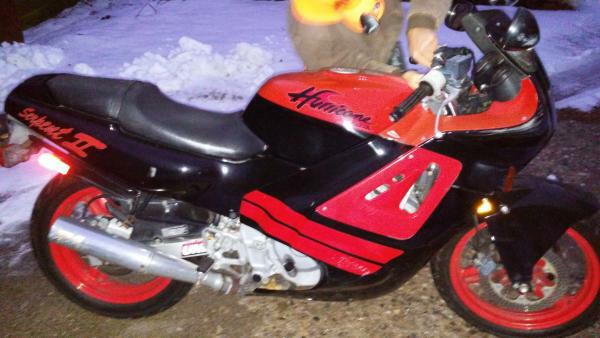 Seriously, looks like a nice bike and if you are handy with paint it would be nice to have it back to original. Enjoy and keep us posted.